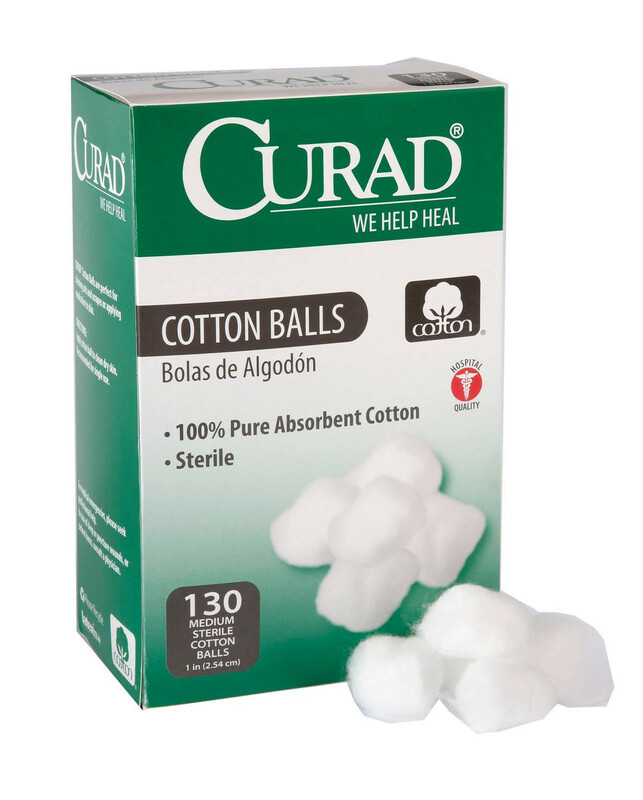 MedLine CURAD Sterile Cotton Balls are made out of 100% cotton, which makes them ultra absorbent. 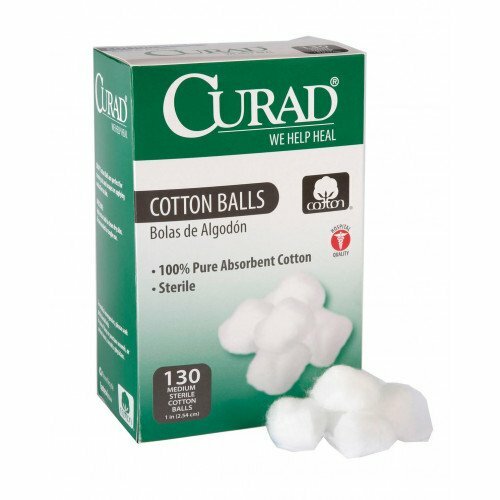 The MedLine CUR110163 CURAD Cotton Balls are perfect for cleaning wounds, applying medication, and wiping the skin clean of makeup and dirt. These cotton balls are available in a box of 130 and come in a case of 24 boxes. You may also be interested in some of our cotton swabs.